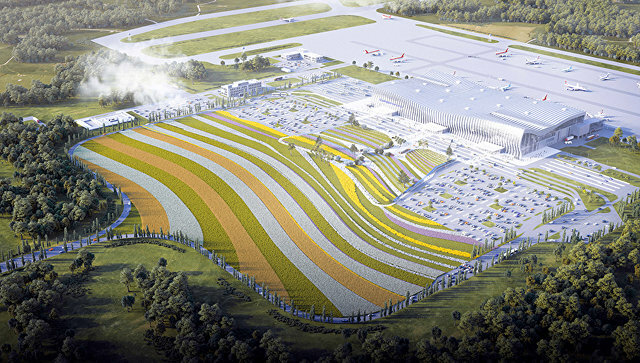 In the new building of Simferopol airport will be the largest in Europe "green wall" size 110 by 15 meters. Thus, its area will be more than 1.5 thousand square meters. "Green wall" in the new building of the terminal of the Crimean capital will consist not only of living, but also artificial plants. On kind of these tracts of not will differ from each other. In the building of the air port will be established Fig trees and the large glass cubes with tropical plants. And in the area of arrival of passengers will be installed a huge map of the Crimean Peninsula, which plans to make a colored moss.